Had to give Shovel Knight after reading all the fine stuff about it. 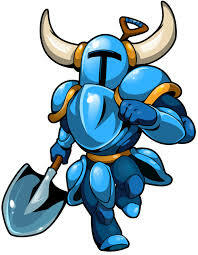 From the Kickstarter campaign and the excellent reviews, it was just a matter of time before I gave the fine Shovel Knight. The developers did a pretty amazing job of creating an old school’s NES style game. It was a mix of mostly Mega Man, and Ducktales to me. Both pretty amazing games back when I was just a young lad and looking forward to the next issue of Nintendo Power (the good old days). Not only was this an excellently done throwback, but it was also very challenging as well. Some of the bosses and pesky jumping levels were very tough! Challenging, but also very gratifying when you do finally overcome them. This was very well done, even with the cheesy makes very little sense story that goes along with it. Excellent job of capturing the essence of those amazingly fun NES days. Very fond memories of playing those old Nintendo days.